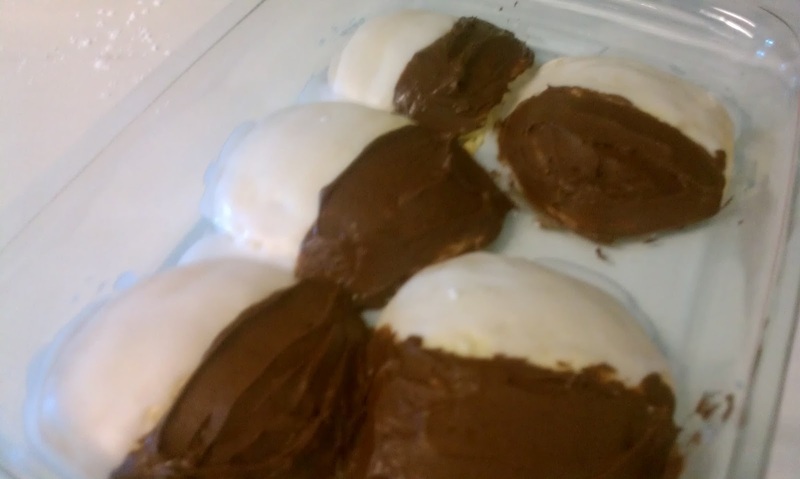 Ah, black and white cookies. One of the many wonders of the world, in my opinion. This iconic New York based cookie, sometimes called "half-moons" or "Amerikaners" has been referenced in many shows and is continually made in NYC bakeries. With their soft, cake-like consistency and delectable chocolate/vanilla icing, these cookies are really cookie shaped cakes in disguise. But I'm not complaining, and I'm sure fellow cake lovers aren't either. I've always been a fan of these cookies for three reasons. 1.) 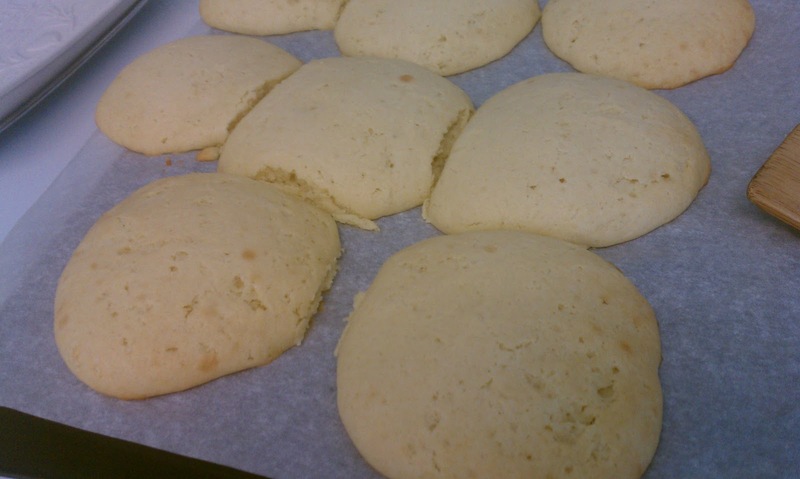 Their soft, spongy texture. 2.) Their two different icings, for the people who cannot make up their minds. 3.) They are huge! If you're looking for a wonderfully easy recipe to satisfy your sweet tooth and have never tried a black and white cookie before, you're in for a treat. A quick note to my fellow New Yorkers out there: These cookies are quite tasty, however, they are NOT in any way shape or form pretending to be 100 percent authentic. 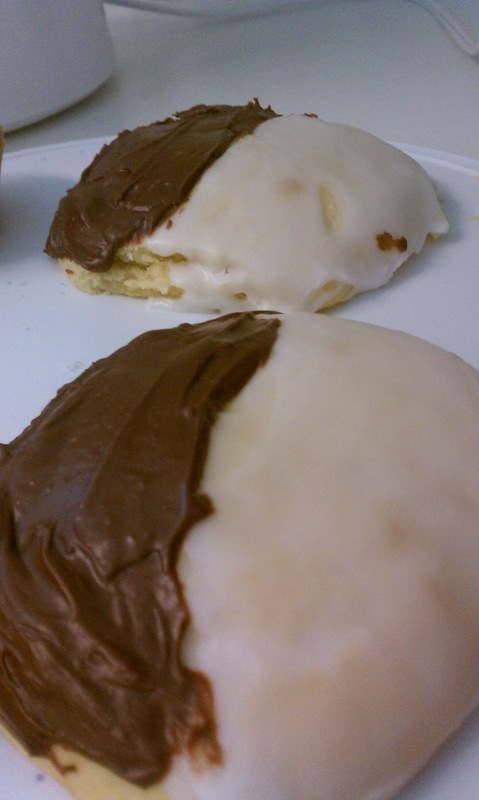 These are my OWN take on the classic cookies so don't be upset if they aren't the exact black and whites you're used to. They come pretty darn close, though. Preheat the oven to 375 degrees. In a large mixing bowl, beat together the sugar and butter until creamed. Mix in the eggs, vanilla, yogurt, and milk until well combined. In a separate mixing bowl, whisk together the flour and baking soda. Slowly stir the flour mixture in with the butter mixture. Combine well. Drop heaping spoonfuls (I used a 1/3 measuring cup for larger cookies) on a baking sheet lined with parchment paper. Bake 15-18 minutes or until tops spring back with pushed. Let cool while you make your icings. In a microwave safe bowl (or measuring cup preferably) heat the water on high until hot. Check every 15 seconds to determine if water is heated enough. Use two separate bowls to make the icings. Add 1 1/2 cups powdered sugar to one bowl along with the tsp of one lemon juice. Stir in a Tbs of the hot water a little at a time, so as to not make the icing runny. 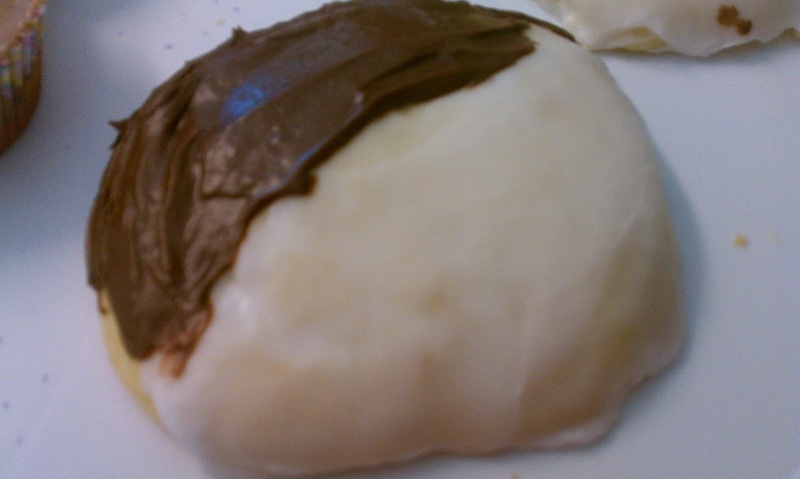 When icing is a desired consistency, use a butter knife to spread one half of the cookies with the white icing. Repeat until all halves are iced with the white icing. In the second bowl, add 1 1/2 cups powdered sugar. Melt the chocolate chips on medium heat in a microwave safe bowl. Stir every 15 seconds until chocolate chips are fully melted. Stir in the melted chocolate, 1 tsp of honey, and the cocoa powder in with the powdered sugar. Add in the hot water, a Tbs at a time until it is a desired consistency. Frost the second halves with the black icing. Let icing set, about 5-10 minutes. Serve with a glass of milk, or your favorite coffee. Makes about 8 large cookies or 16-20 small cookies. Food For Thought: Check out my favorite food websites! The Maternal Foodie, designed by Rebecca Maldonado. All rights reserved. © 2012. Simple theme. Theme images by Juxtagirl. Powered by Blogger.